Fantasy literature is a sprawling tapestry of possibility. From cities built in the skies to an entire world locked inside a dusty old wardrobe, the opportunities are as boundless as the imagination. But what of Pagan-themed fantasy? Tamora Pierce, Holly Black, and J.K. Rowling draw inspiration from Pagan myths and monsters when constructing their worlds. Urban fantasy writers often reinvent myths or legends to suit their stories. And now, they extend that invitation to you. 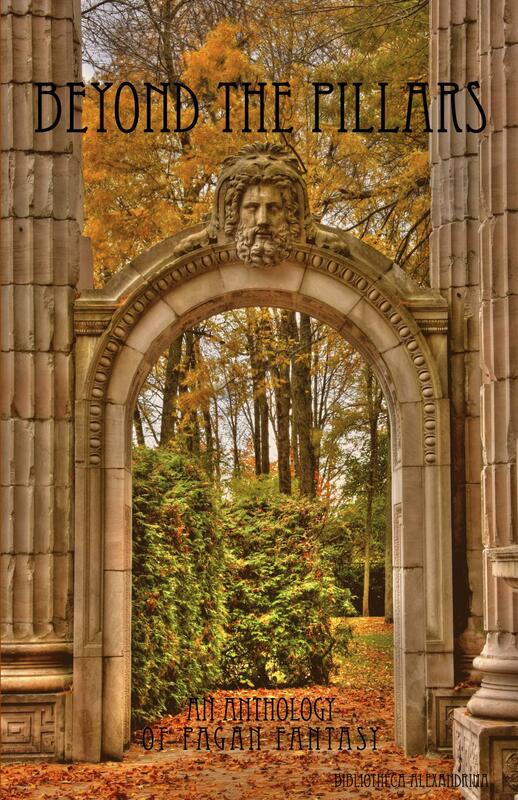 Will you answer the call and dare to venture beyond the pillars? Beyond the Pillars is the latest in Bibliotheca Alexandrina‘s line of genre fiction anthologies. It can be purchased for the Kindle, and in paperback through Amazon, and through Barnes and Noble. All of the proceeds from Beyond the Pillars – as well as many of the other volumes in the Bibliotheca Alexandrina series – will be used to help promote the revival of the worship of the ancient Gods, with a portion of the proceeds given to worthy charitable organizations in their name. So, not only will you be getting an imaginative collection of tales – but your money will be going to do good work and help the revival of ancient polytheistic religions. ATTENTION Librarians, Teachers and Retailers: the print version of Beyond the Pillars will also available at reduced cost for academic institutions, lending libraries (public and private) and retailers. Check our online store, or email baeditor@gmail.com with any questions.